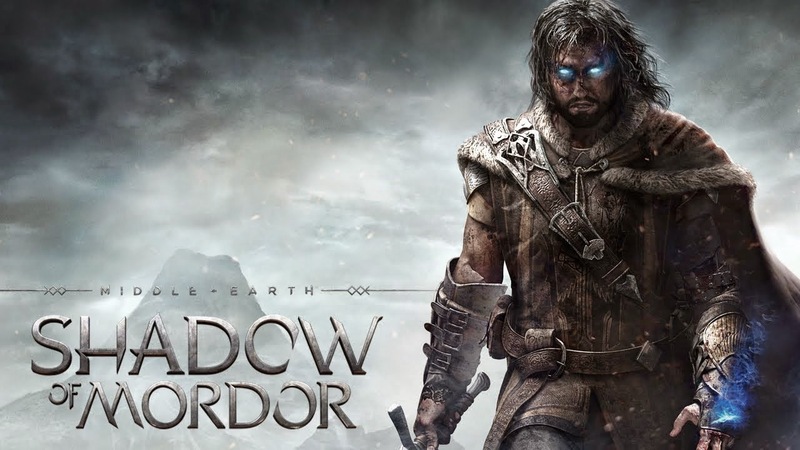 Cody's Reviews: Middle Earth: Shadow of Mordor. 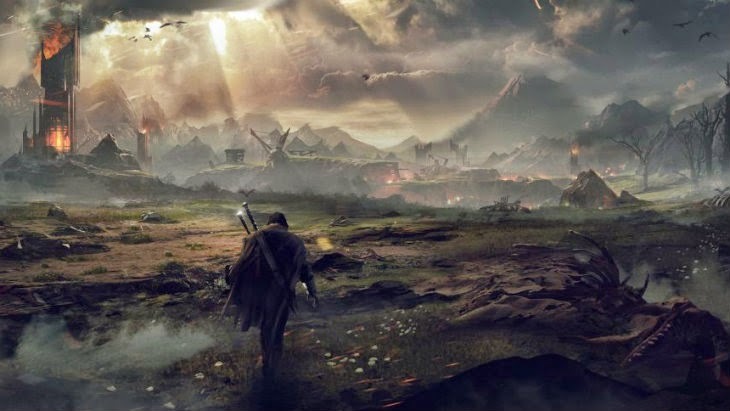 Middle Earth: Shadow of Mordor is another game that takes place in the Lord of the Rings series. You play as Talion, a valiant ranger whose family is slain in front of him. This takes place the night Sauron and his army return to Mordor just moments before his own life is taken from him. Talion gets resurrected by a Spirit of Vengeance and is empowered with wraith abilities. Talion ventures into Mordor and promises to destroy those who have caused him this pain. Through the course of his vendetta. Talion uncovers the truth of the Spirit that compels him, learns the origins of the Rings of Power and confronts his true nemesis. Shadow of Mordor has a great story line filled with a lot of emotions which really lets you feel how the main character feels and gives him a very important motive to seek out vengeance. In fact, it makes you the player feel like you have to slaughter every orc in sight! 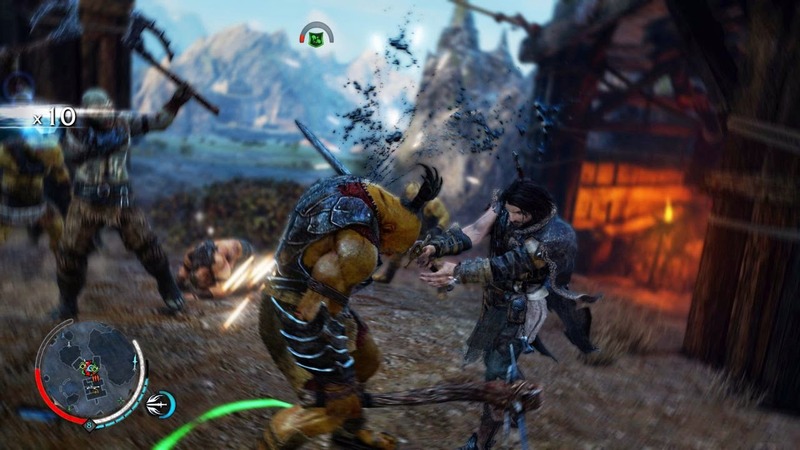 Shadow of Mordor plays a lot like Assassins Creed II but it does the controls very well. Shadow of Mordor is for the most part an open world environment. There are only two areas you are able to explore. You unlock the second area after you complete a certain main mission. There have been times where I did so much side quests and collecting everything where I didn't even touch the story missions at all and by the time I did I had more than enough xp and resources to continue on. and even killed all of the warlords. At some point after completing all of the side stuff it forces you to go back to the main mission, which is okay because it just means there is a lot to do. 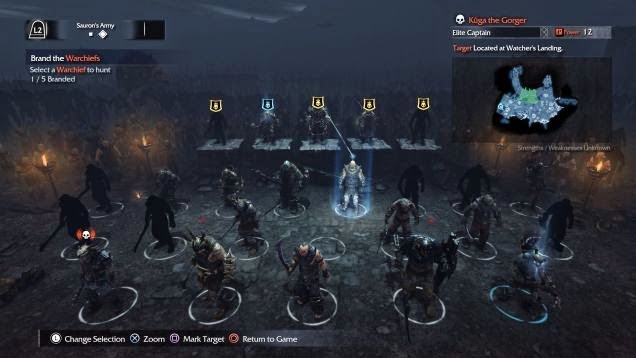 The nemesis system is a fantastic new system that they have added to Shadow of Mordor. Talion is able to gather intel on certain orcs who are unknown, you can then mark those orc captains or warlords and take them out. But be careful if any orc kills you they will get a power increase as well as a promotion. You let a warlord kill you and he becomes much more powerful. So if you fail, it gets harder if you succeed it becomes easier and you get the reap the rewards. You are able to control captain and warlords making them turn on other captains or warlords which can be very interesting and is fantastic! Your goal is to take them all out. On top of this new system you are able to associate quests with it as well. For example if you control one of the warlords or captains you can unlock a mission where they attack the opposing captain or warlord of your choice and you have different objectives. One may be to keep the captain you control alive. Shadow of Mordor has some beautiful visuals on the next gen consoles and especially the PC version. The world is wide open which gives you some great visuals and with the recent update you care able to take in game screen shots or shorts and capture the great moments you may experience. The audio side of things sound great as well. Great sound track, great voice acting for the most part, and great sound effects. These greatly add to the open world experience in Shadow of Mordor. Overall Shadow of Mordor is a great fast-paced open world game that a lot of people are surely going to enjoy. If you are a fan of the Lord of the Rings series or not there is something in here for everyone to enjoy and experience. On top of that the game also offers free DLC as well as some paid ones. Both are great values and highly recommended. Great review. I really like this game and I am happy to see this review. Middle Earth: Shadow of Mordor is a new game for me. I have played it and frankly speaking, I like this game. It has interesting plot with cool characters.